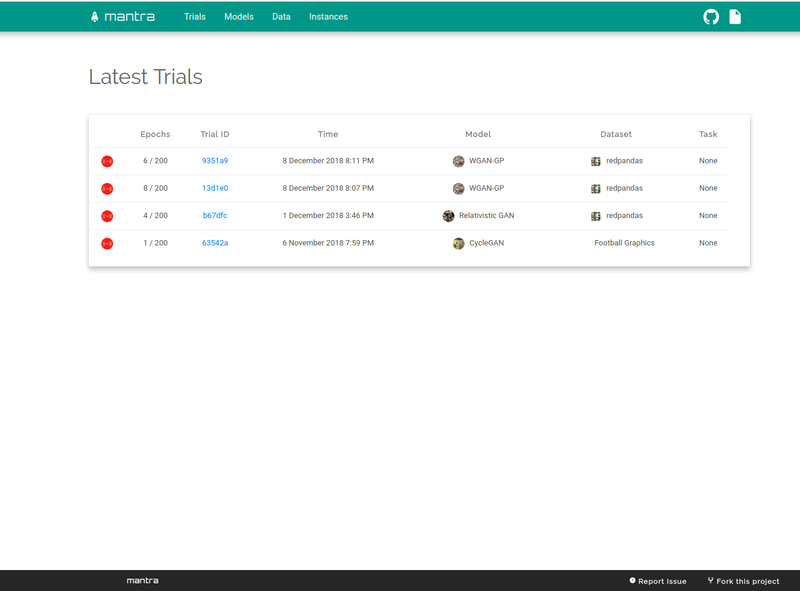 Mantra is used by deep learning practitioners to manage their development workflow. It automatically provisions cloud instances for training, tracks and versions experiments, has a UI for training and evaluating results, and works with frameworks like PyTorch and TensorFlow. This is an alpha release. All contributions are welcome - see here for guidelines on how to contribute.